I know it is a bit stale to put up this entry more than a month after the concert has passed. But I have extremely good reasons why I chose to post this up much later as I gave myself time to cool down from unsavoury and moments of displeasure experienced after the said concert. In fact, I had been contemplating, hemming and hawing whether I should even post this up if it means having to revisit and open up old wounds. I have only decided to just publish it after much deliberation, as I feel that my bad experience after the concert was a separate matter on its own. You will be reading about it in the latter paragraphs since I had actually typed them in anger a day after the concert, but you will also be reading a more balanced and fair review of the concert per se in this entry. So if you were to see a difference in mood and emotions, you will know which ones were typed much earlier and which ones were much later. 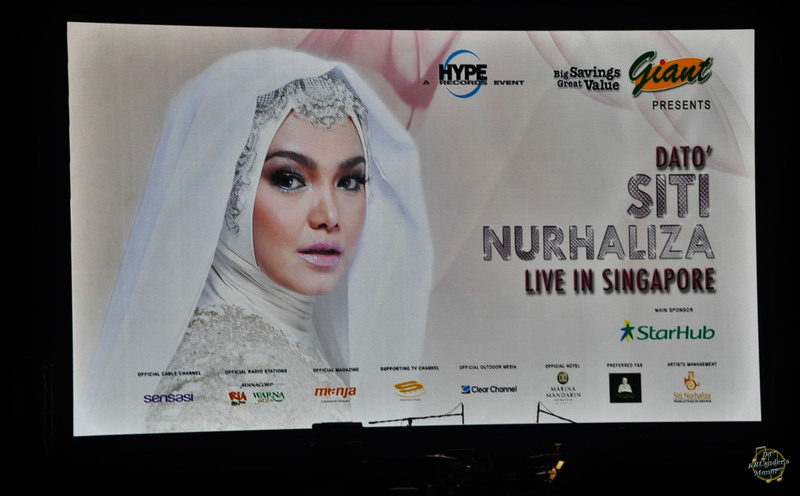 A showcase by Dato’ Siti Nurhaliza is always anticipated and expected over here, once she has done a tour or series of concerts in her home country. It was with great pleasure that I received the news of her impending concert here in Singapore as early as January this year and looked forward to attending it, just as I had done so for her past three solo concerts (Harbour Pavilion – March 2000, Singapore Indoor Stadium – July 2005, Esplanade Concert Hall – March 2008) and the combined showcases with Dato’ M. Nasir, also at Esplanade back in January 2010 and Konsert Diva,all the way back in April 2000, where she shared the stage with Dato’ Sheila Majid, Anita Sarawak and Hetty Koes Endang. 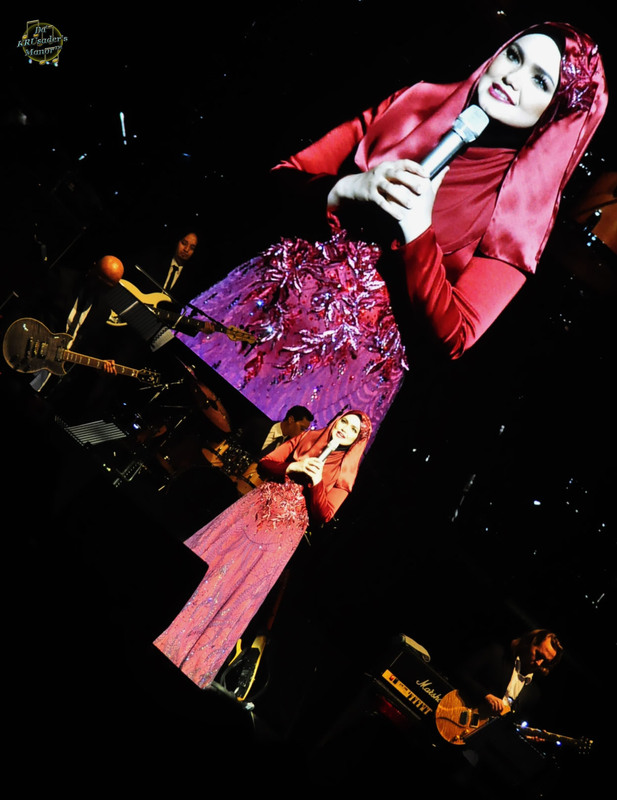 Every showcase and concert that Dato’ Siti Nurhaliza performs on these shores is a landmark and milestone on its own for me on a personal level. And this recent one at The Star Performing Arts Theatre in Buona Vista was no different. 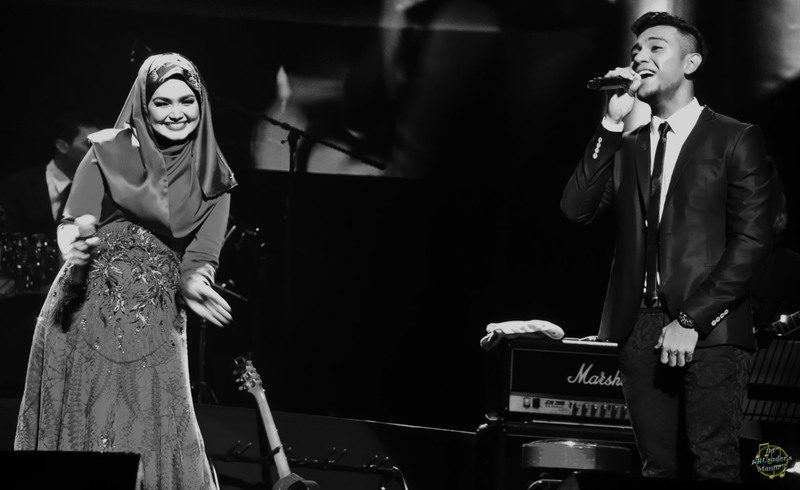 As she celebrated 19 years of existence in the music industry with the concert, yours truly celebrated ten years of blogging on our local Malay entertainment scene. Over the years, and especially since 2007, I have slowed down on following her career journey, a little less faithful to put it nicely, than I used to. When in the past I would buy every single album she released, I have since stopped doing so. No, it’s not a form of protest or anything, but I guess priorities and responsibilities in life make one a little less of a groupie than before. I have had extremely memorable and eventful moments supporting her journey in the music scene circa 1996-2005 before family commitments came along. One that still sticks in my memory to this day was helping out at the charity concert by Suria Records artistes (her record label which had stellar acts like Liza Hanim, New Boyz, Noraniza Idris, Aqasha and Handy Black, amongst others back then) back on 16 August 2002, where it was held at one of the halls of Singapore Expo. I was given a prominent role behind-the-scenes for that particular charity concert and will always be thankful to Kak Sabariah Hirma, her PR Manager here in Singapore for that experience, as well as the other times I was allowed to meet Dato’ Siti herself in person, mostly to send her off at the airport. It was from that aforementioned concert too that I made friends with several key personnel from Dato’ Siti‘s own production company, including her younger sister Saerah. 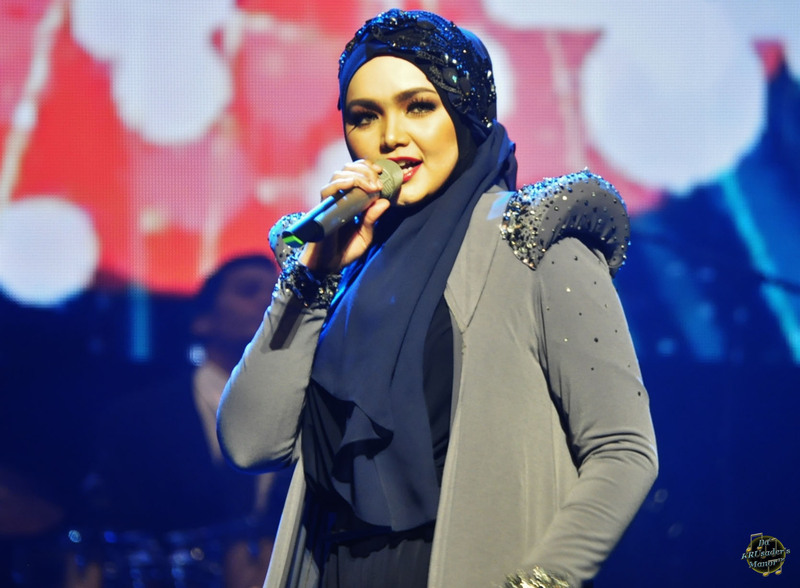 Which is why going to a concert or showcase by Dato’ Siti Nurhaliza is not just to pay homage to her enchanting vocals, but also to say hello to the people working closely with her. Cos seriously, how often do we get to meet and catch up with one another, with all our respective busy schedules??? I was initially sceptical as to how many would actually turn up for the concert. Not to belittle Dato’ Siti‘s pulling power cos her name alone would guarantee more bums to seats, but looking at the overall attendance for big concerts over the past five years, some have been hits, and some have been misses in the attendance factor, even with big names headlining them. Her last solo concert in 2008, if my memory has not failed me, was not actually a sell-out event as compared to the one in 2005. But it has to be said also that that concert back in 2008 was held on a weekday. People might have been hesitant to go as they would have to go to work early the next day. This recent concert organised by Hype Records was held on a Saturday night, so it was definitely heartening to see that the theatre was at least three-quarters full, given that the venue is huge and has about a capacity of 5000 people. 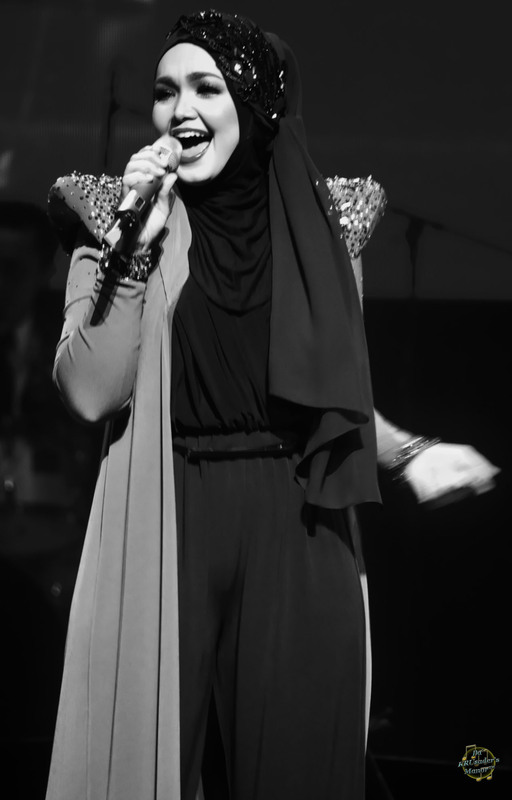 Listening to all the songs Dato’ Siti performed that night was like a walk down memory lane. Almost every song brought back memories, some good, some not-so, but everytime I listen to them, they all tell a story or bring me back to the times I was in polytechnic, serving the nation in the Army or even during the economic crisis where it was difficult for me to attain a job with a stable income after my National Service stint ended. 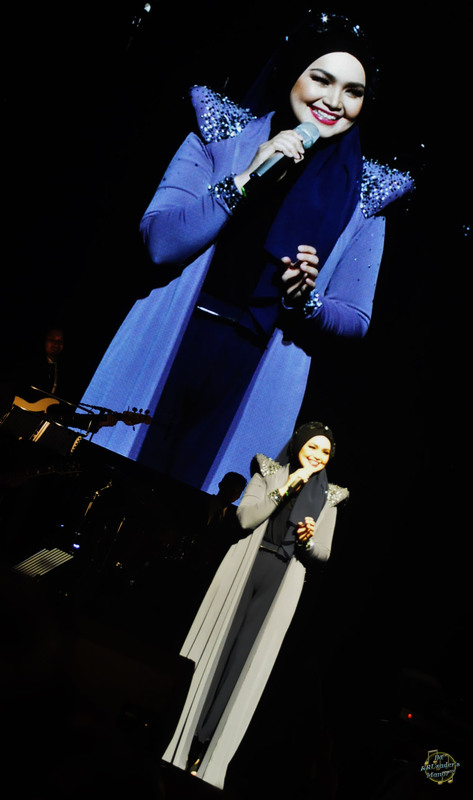 But as always, amongst all the songs that she performed that night or whenever she performs “Wajah Kekasih“, memories of her wearing a necklace I gave her and singing that song in a Hari Raya eve programme back in 1997 on RTM 1, would fill my heart with pride and my head with nostalgia and contentment that she does appreciate the gifts given to her by her fans. That necklace was given to her on the night she received her very first overseas awards which she mentioned during the concert. When she asked the audience if they knew she had received one of her first awards in Singapore, some knew, while most probably did not. I was so tempted to get off my seat and shout, “24 December 1996 – Anugerah Muzik Popular – Suntec City Convention Centre“, but decided not to in the end. 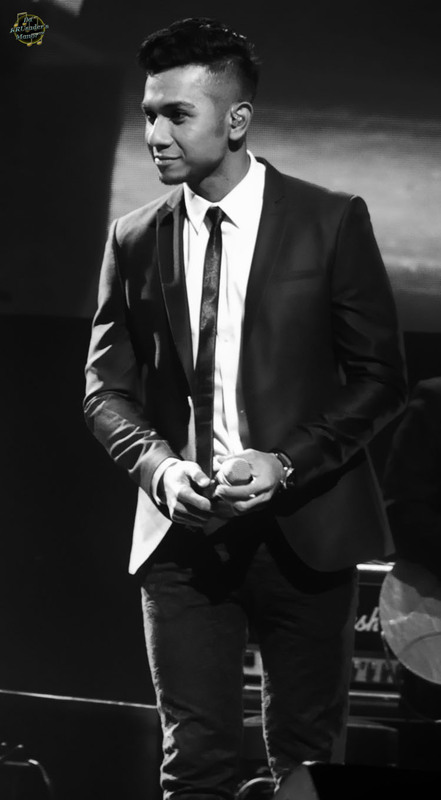 I remember that event till this day as the show was over-runned and lasted about four hours. But what was unique about that awards event was, it was not organised by our local Malay radio stations, even though they supported it as official radio stations. 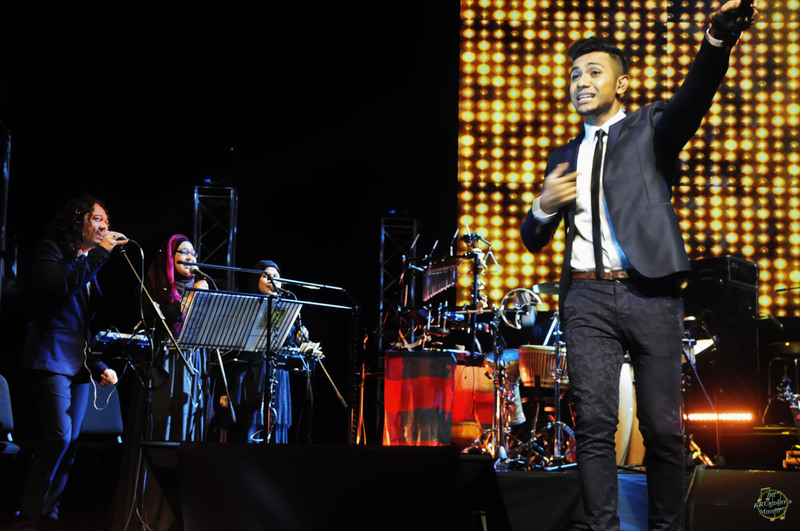 Like Anugerah Planet Muzik, it had a stellar cast of performers and big names from Malaysia and Singapore. 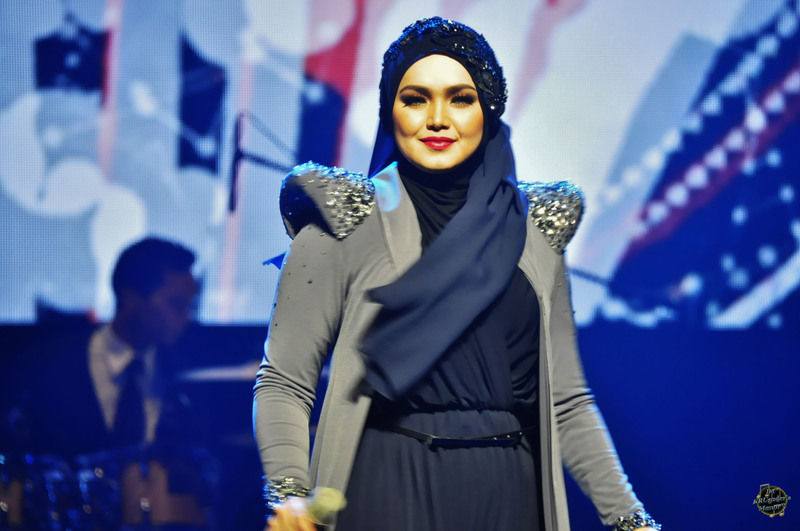 Dato’ Siti was just a newcomer in the scene at that time, and together with fellow record label group 2 By 2, they were the next big things on show that night. Look how far she has progressed since that fateful night??? Though Dato’ Siti remarked that night, that “Kesilapanku, Keegoaanmu” was more popular with karaoke-goers than on radio charts, I believe she said that probably due to its rather lukewarm response across the Causeway. But not here though, cos I do remember the song topped our local Malay radio charts for more than a month, more than a decade ago. She performed that song as well as most of the songs that night in a different arrangement to the ones we have been accustomed to from her albums. With such fresh arrangement, some being more upbeat than the other, it made for a concert that was filled with memories aplenty, nostalgic moments reminisced, as evergreen favourites were belted one after another, but still remaining relevant in this day and age, thanks to the astute mind of Aubrey Suwito. Being a veteran goer of all her concerts here, I could see a big difference from the time she first started out as well as noted a stark maturity in comparison to her first two solo concerts. Gone were all the fancy props and backdrops, not forgetting the minimal costume changes. Even the number of dancers which used to colour her concerts have since been kept to an almost bare minimum. Nineteen years in the music scene, Dato’ Siti is at a stage whereby she does not need all those razzmatazz to add flair to her concerts. People come to watch her for her melodious and enchanting vocals. No matter what she does onstage, people will just lap it up. She will always have the audience under her thumb the moment she steps onstage or opens her mouth to sing. Her almost two-decade long career has also moulded her into being an all-rounded entertainer. Who can forget how shy she was at interacting with the audience when she first started out??? That night however, she was like a stand-up comedian, poking fun at at the audience, at herself, her husband and even the invited guests. Her first decade as an entertainer showed up quite a number of flaws and rough work that needed to be polished. 12 April 2014, along with about 3000-4000 people in attendance, I witnessed a flower that has blossomed and bloomed to perfection. Even when she cracked jokes and made fun, they did not come across as rude, like some entertainers or comedians out there. She did it all with grace, poise and with a touch of class. The punchlines that came along with her banter were spot-on. 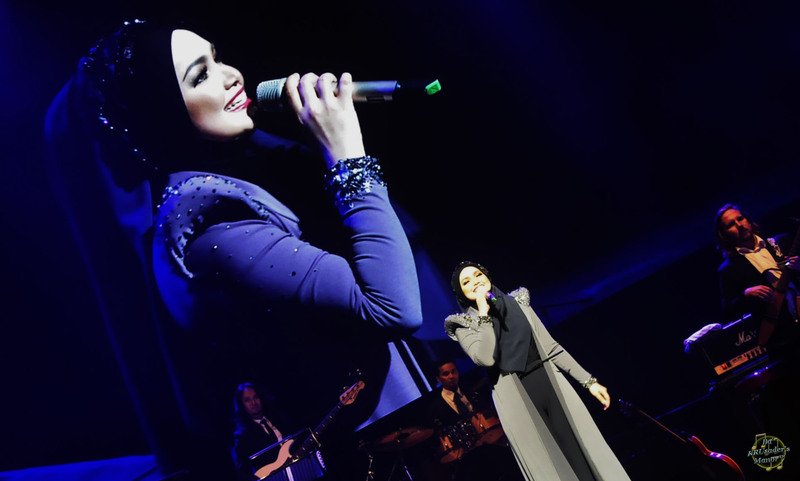 Dato’ Siti Nurhaliza is known to work with a trusted working circle and if you are a regular concert goer of hers, you will also note the familiar faces onstage that back her up, either as sessionists or on vocals. In the past, I have been used to seeing Pak Ngah on accordions and Steve Thornton on percussions, so it felt a little strange to watch her concert that night without the presence of the aforementioned duo. 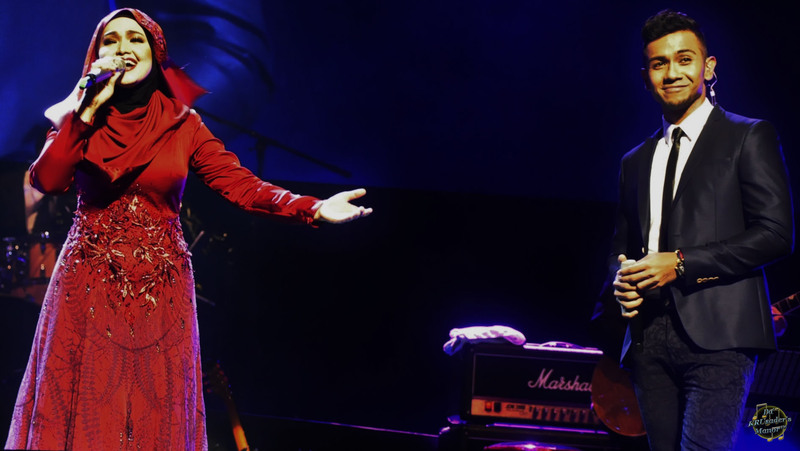 I also note another change in approach by Dato’ Siti during the concert. When in the past, she would call up female members of the audience onstage to dance with her, that night, those that went up were all guys. Though I wished that someone would have gone onstage to sing “Muara Hati” with her. I know for a fact that a certain Hyrul Anuar in the audience would have jumped at the chance and do justice to the song, had she seen him. 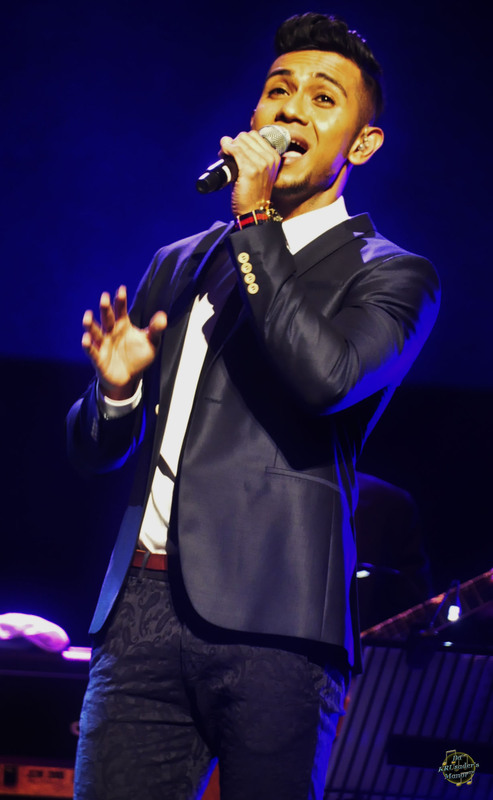 Or at the very least, have Taufik Batisah singing with her, rather than limit his appearance to the evergreen hits by Singapore artistes segment. Which finally brings me to my embarrassing and humiliating episode at the concert. Most of you who know me personally or have been following this blog would note that I am a huge fan of Malaysia‘s number one icon. Which was why I felt covering her concert would be the icing on the cake of my tenth year of doing entertainment blogging for our local Malay scene. When it comes to watching a show of immense quality, I have never been one to compromise on the seating price and would not hesitate to pay for the most expensive tickets just to get a good view of the show. The recent concert was no different, and I even booked it the minute I woke up when I was overseas back in February. Out of respect for the concert organisers, I did voice out that I would like to cover the concert and do a write-up. I was granted a media pass but was briefed that I could only snap photographs during the first two songs and during the duet segment with Taufik Batisah. I did as per instructed but was quite surprised to see other media-accredited photographers snapping away even after the first two songs were done. Since I did not see the ushers stopping them, I continued throughout the concert and I was not stopped either by any of them. 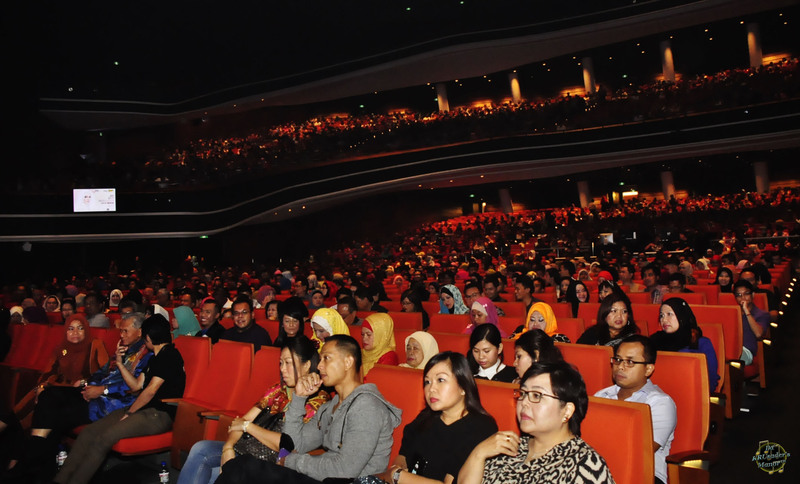 However one of the organising staff came up to me somewhere near the end, when Dato’ Siti was mingling with the audience and singing one of her final songs (“Cindai“), and told me indignantly to return to my seat and that I was not supposed to be taking photographs. Imagine I was singled out, when at that point of time I was just standing by the side and not even aiming my camera lens at anyone, whereas there were so many others who got off their seats, came forward and snapped away with their camera phones. Throughout the course of the concert, the audience was taking photographs and video snippets and uploading them on their respective social media accounts. How do these people manage to get away with it when someone like me with a media pass gets told off by the same person who granted me the pass??? When the concert ended, I was told by a fellow media friend that there was a meet and greet session and that the media were allowed in. I was initially together with them, discussing the high points of the concert and was ushered into the waiting area for the media along with them. Followers of this blog would note that I do not do interviews and would just snap the goings-on of what transpire in front of me. Even if I were to “disturb” the artistes, it would be for them to pose for my camera and that too does not take more than ten seconds, fifteen at the most. Which was my initial intentions when I entered the room meant for the meet-and-greet session, which was just to snap some memorable photographs of Dato’ Siti meeting her fans and the media. The same staff who had told me off earlier, this time raised her voice in front of my media counterparts and asked what was I doing there when I was not supposed to, upon seeing me standing by the side. I had not even snapped any photos at that point of time. I could have kicked up a fuss but I felt perhaps I was really in the wrong for flouting rules which were not briefed to me much earlier, and since I was already embarrassed and humiliated enough from the raised voice and treatment I got, I immediately left after she reiterated again that I was not supposed to upload photographs I took after the first two songs and other than the duet segment. When I left, I could see the faces of my fellow media colleagues, how apologetic and sorry they were for dragging me into this mess, but I do not blame them for it cos I felt they brought me in along with them in good faith and out of goodwill. I am just utterly disappointed that things turned out very badly in the end. I could have been told off nicely or at the very least brought to a corner and explained why I was not allowed inside. I could have accepted that even if it was grudgingly. Not being told off in front of others like that. Respect, whatever I had for this particular staff all these while, has gone out of the window. For the first time I felt that, even with a media pass hanging on my neck, it was meaningless. Contrast this to the treatment I got during Anugerah Planet Muzik 2013 where I was ushered in to the waiting area for the performers when I first arrived, even when I had no plans whatsoever to disturb or interview them knowing they were doing their last minute preparations. I refrained from entering the changing rooms and just waited for whoever to come out to pose for my camera when they were ready, and left them to do their private rehearsals in peace. That has always been my style and approach, to let the artistes do their thing in peace, yet this treatment made me feel like some kind of pariah. I was not hard up for an interview, neither was I disturbing anyone in that respect, I was just standing by the side watching proceedings. Yet I was singled out as a gate-crasher and uninvited guest, even after giving support to some of the artistes and events by this particular organiser over the years. In my anger, days after the concert, I almost decided to boycott doing any write-ups nor reviews on the concert itself, even if I have good things to say about the performers, which also included The Final One winner, Farisha Ishak, as the opening act. For all the support that I had given, paying for the most expensive seats, hoping to give a good account by saying good things about the organisation and execution of the show, yet the treatment I got was like a slap to my face which is still ringing in my ears till today. It is extremely difficult for our local entertainment industry to grow when there is apparently little to no synergy, good working relationship and trust between media and record labels, show promoters and event organisers. When the media wants to help you in anyway you can, you embrace it, or even when you cannot reciprocate in kind, you respond with the same respect they had accorded to you. Kindness begets kindness. I am not sure if there is any exclusive arrangement with any media organisation for this recent concert, but I wonder why should the big players always have the bigger slice of the pie in the name of exclusivity, when there is only a handful of media companies / individuals here in Singapore??? We all want to see the industry thrive and we all would like to help in one way or another to see it blossom. Yet this segregation and ostracising has left a very bad taste in my mouth. I know as an entertainment blogger, people might not take me seriously, even after ten years of being in the scene. But at least treat me with the same respect and support I had given them all these while. There are only two television channels (Mediacorp Suria and Sensasi), two radio stations (RIA 89.7FM and Warna 94.2FM), two print medias (Berita Harian and Manja), two entertainment portals (Sungguh.com and Gumbira) and one active entertainment blog in our local Malay entertainment industry. I personally rate mine being at the bottom of the pile. Perhaps that’s why people don’t give two hoots with what I offer on the table. I also wonder what significant impact I would gain out of sharing the other photographs I took from the concert with my readers??? I don’t earn through blogging and I certainly do not earn from sharing photographs with my readers. Though I understand copyright issues can be a legal problem when it comes to video recordings and to some extent, photographs being sold for a profit, I believe it is high time concert organisers and venue operators relax some of their rulings and allow at least photographs to be taken. In this day and age, with people carrying smartphones and androids, there is no way they can stifle and refrain the audience from taking photographs during the shows. There will always be people who would want to take for personal memories’ sake. It is blatantly shared on social media accounts like nobody’s business. Even other media outlets were sharing live updates of the concert. And what is the percentage of people making money out of them??? My personal guess is: Not much!!! Or even zilch!! !